“I am so pleased the Children’s Alliance has endorsed King County Proposition 1: Best Starts for Kids. The moms, dads, and advocates for kids who make up the Children’s Alliance know what is good for kids and our communities – and know that when we speak up, we can get results. The Children’s Alliance knows that when we invest in opportunity for children in low income families and children of color, we improve our communities for everyone. “I am delighted that the Children’s Alliance, which usually focuses on state and federal policy, has chosen to put their stamp of approval on an initiative that’s vital to the kids in Martin Luther King Jr. County. Together, we can ensure that all our children have a clear path toward a healthy future full of opportunity. A Children's Alliance analysis of new government figures shows that hungry families are not experiencing an economic recovery. According to the most recent report on food insecurity and hunger in America released September 9th by the U.S. Department of Agriculture, the national rate of hunger in 2014 did not improve over 2013’s rate of 5.6 percent. Parents, elected officials, community-based leaders and other advocates for kids gathered in Auburn on Saturday to celebrate a significant victory in the 2015 legislature: the full restoration of food assistance for migrant families. As the photos show, it was a proud moment. “I am proud and humbled to be here with you today to celebrate a victory that was only made possible by you. Five years ago we came together to organize and advocate to save State Food Assistance. Through those years you—parents, grandparents and youth who courageously spoke the truth about your own experiences; grassroots organizations that stood in solidarity with families; service providers and food banks that spoke up for equity; legislators who advocated among your own colleagues to right this wrong—you have given your hearts, your time and your voice to this campaign. “At Children’s Alliance we believe in every child’s potential, and we know that good public policies advance equity and help all kids reach that vast potential. State Food Assistance is one of those good policies. Kids that go to school hungry don’t perform as well academically, limiting their opportunity to reach their full potential. 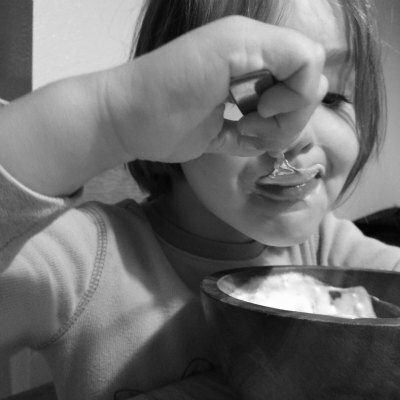 We know that one in five kids in Washington state live in households that struggle to put food on the table. We also know that the legacy of structural racism in our country means that this reality is even starker for kids of color. Luckily, for school districts in high-poverty neighborhoods across Washington state, there is a promising solution to address hunger and help reduce the opportunity gap in education: the Community Eligibility provision. School districts have until Monday, Aug. 31 to enroll. This past legislative session, Washingtonians spoke up for better access to dental health care for children and families. While the Dental Access Bill was blocked by narrow special interests, advocacy and progress are marching forward outside the legislature. Passage of the Early Start Act is great news for parents, children, and all Washingtonians who share in the vision of every child succeeding in school and in life. With today’s vote, a strong bipartisan majority of the House and Senate have sent the Early Start Act (House Bill 1491) to Governor Inslee’s desk. 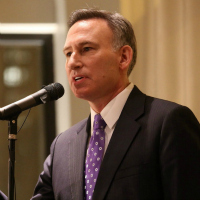 We applaud the legislative leaders for early learning in all four caucuses—Rep. Ruth Kagi (D-Seattle), Sen. Steve Litzow (R-Mercer Island), Rep. Maureen Walsh (R-Walla Walla) and Sen. Andy Billig (D-Spokane)—and the many legislators who supported the Early Start Act. They have acted on the years of research showing that high quality early learning builds stronger families, better schools, more self-reliant adults and safer communities. Early learning is a necessary part of any strategy to close the opportunity gap facing too many of Washington’s children in low-income families and children of color. Click here for photos of advocates and kids celebrating as Gov. Jay Inslee signs the Act. 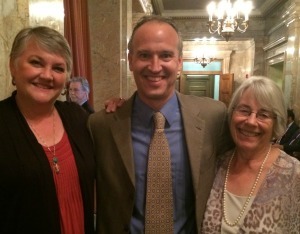 Children's Alliance deputy director Jon Gould with early learning leaders Rep. Maureen Walsh (R-Walla Walla, left) and Rep. Ruth Kagi (D-Seattle, right) after the passage of the Early Start Act in the House of Representatives on Sunday, June 28. Combined with a historic $158 million investment in early learning in the 2015-17 budget, passage of the Early Start Act marks a new level of commitment to early learning in Washington. 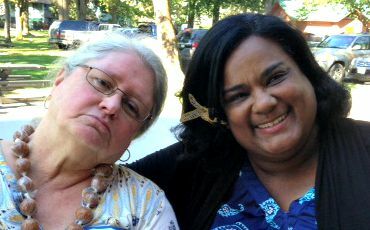 Immaculate Ferreria-Allah grew up in Sumner, in rural Pierce County, where she’s also raising her three youngest children. Late last week, the regular legislative session ended, and Governor Jay Inslee called legislators back to work, starting this Wednesday, to accomplish the critical task of writing the next two-year operating budget. State legislators and engaged Washingtonians have made tremendous progress over the past four months in building the kind of future Washington’s kids deserve. Both chambers of the Legislature passed their respective versions of the Early Start Act, which makes historic investments in the first five years of life. Advocates for children and families in Washington applauded the U.S. Senate for passing a bill yesterday that extends funding for the Children’s Health Insurance Program (CHIP) for two years. “This vote demonstrates the overwhelming popularity of the Children’s Health Insurance Program, and for getting kids the health coverage they need to succeed,” said Jon Gould, deputy director of the Children’s Alliance. Inequitable. Washington’s tax system is the most regressive in the nation: Low-income families pay a much higher proportion of their income than do wealthy families. The racial wealth gap means that children of color are also more likely to live in households that bear a disproportionate share of responsibility for our state’s basic services. Regressive taxation hurts kids of all racial/ethnic backgrounds, because 4 out of 10 Washington children live in a disproportionately tax-burdened low- or moderate-income home. Our public policies—the laws, budgets, rules and other decisions of elected representatives—can either help kids succeed or put obstacles in their path. Racial equity assessment tools can shape our public choices so that they enhance every child’s access to opportunity.